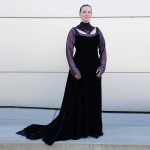 The dress is made of purple stretch velvet, light purple crash taffeta, dark purple chiffon, skin-colored silk netting and violet taffeta for lining. 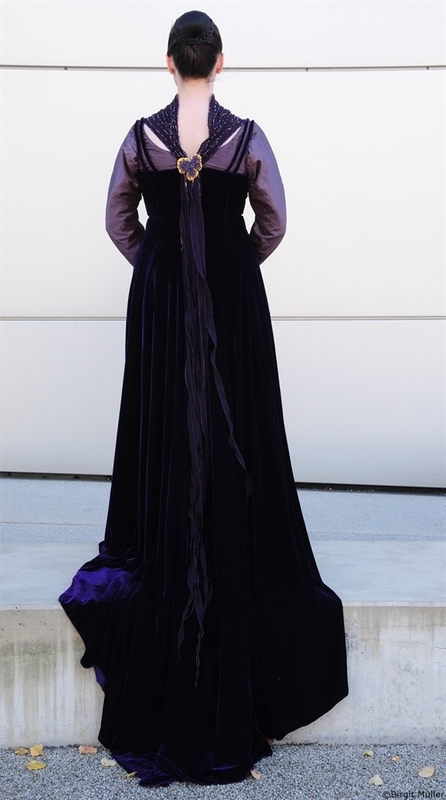 The velvet dress has Vienna seams, a long train and closes in the back with an invisible zipper. 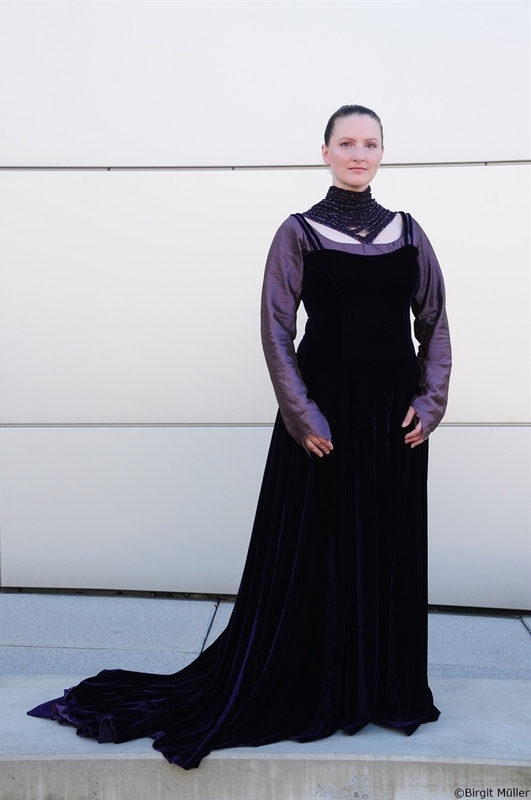 The tapered, wide sleeves and the yoke of the dress are made of crash taffeta. 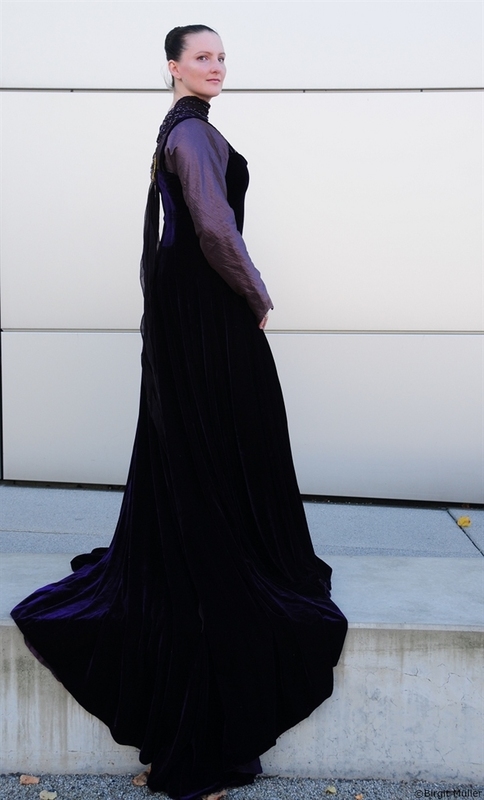 Two pairs of velvet spaghetti straps are running over the shoulders. 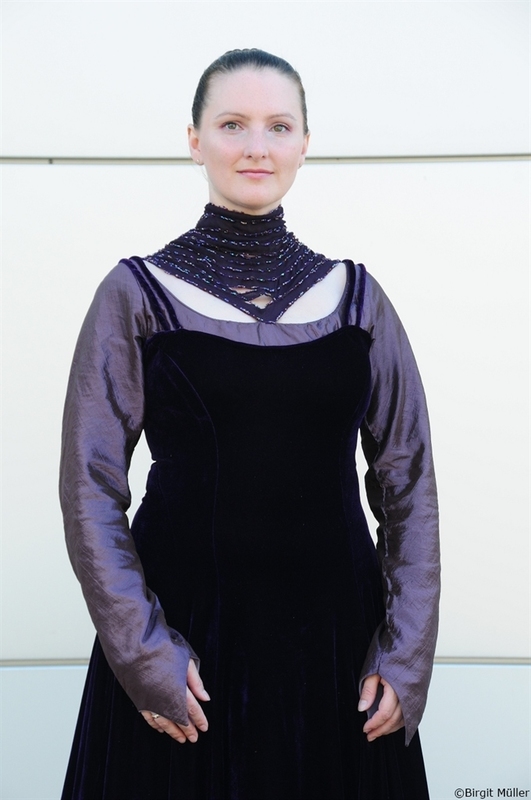 The neckline and the yoke are edged with piping out of taffeta resp. velvet. 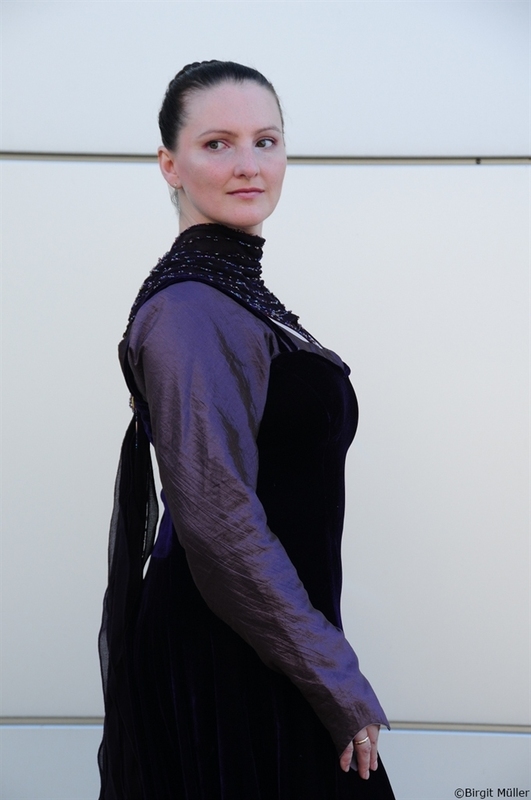 The high collar is made of very long, bias-cut chiffon ribbons which are mounted on skin-colored silk netting. 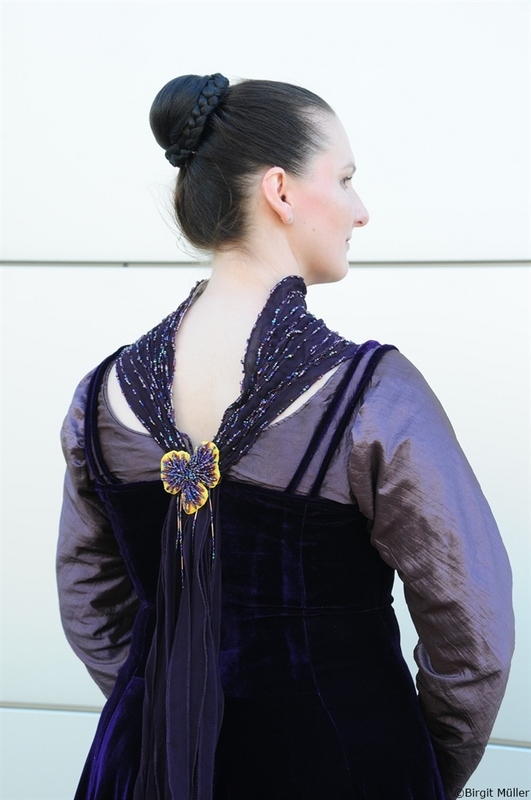 In the back, the ribbons are gathered into a beaded viola brooch made of felt. 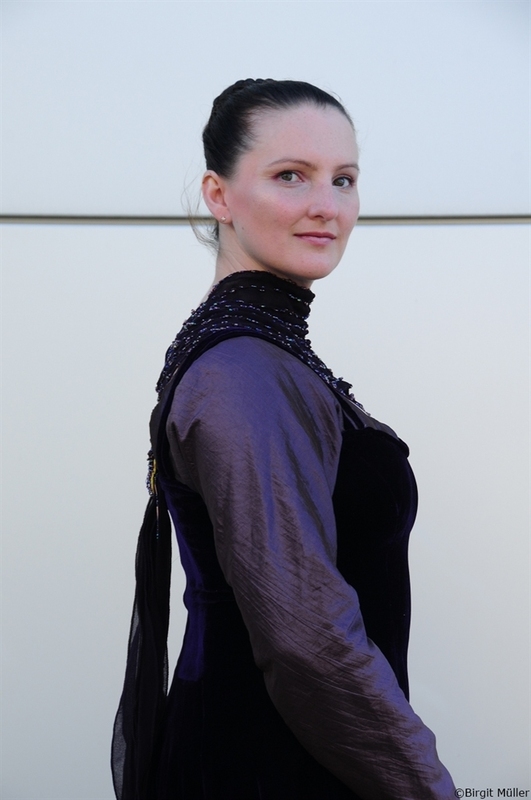 The edges of the chiffon ribbons are beaded with different types of beads. The hairstyle is quite simple. It’s a big braided bun. 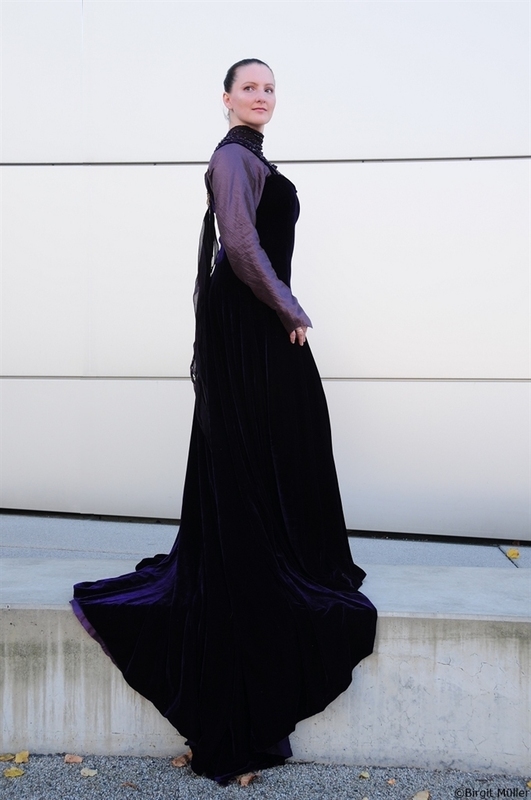 Birgit Müller, thank you for the pictures!